Benefits: Used for centuries for colds and fevers, it has been shown to produce profuse perspiration and eventually evacuation of the colon. It is considered an excellent remedy for the associated symptoms that accompany influenza. Will quickly relieve the aches and pains as well as assist the body in dealing with any fever that is present. It is also considered useful in clearing the upper respiratory tract of mucous congestion. Its mild aperient activity will also assist in clearing the body of any build-up of waste and ease constipation. It is also used to treat stomach disorders related to biliary tract disorders and biliousness. 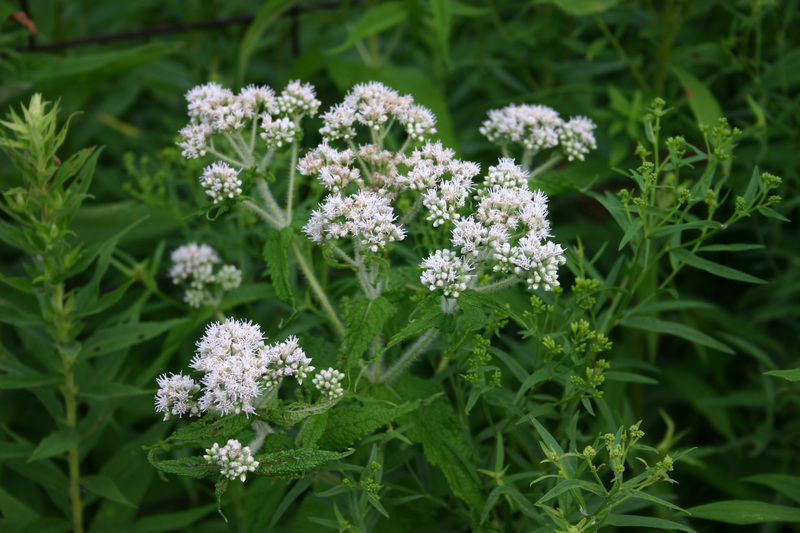 Boneset has also proved beneficial as a symptomatic aid in the treatment of muscular rheumatism. It is also used in homeopathic medicine. Active Constituents: Tremetrol (in small quantities in the dried plant) has been shown to lower blood sugar. It also appears to cause kidney and liver haemorrhage and associated degeneration. A bitter glycoside called eupatorine, tannins, saponins, steroidal substances and a bitter principle. It has volatile oil, garlic acid, and a toxic principle (the Tremetrol). Eupatorin is the emetic property probably responsible for the diaphoretic effect. Some literature refers to Boneset as a diuretic which is most likely mistaking Boneset for Gravel Root (Eupatorium purpureum). Pharmacological Actions: Diaphoretic, aperient, tonic, anti-spasmodic, febrifuge, laxative. Contraindications: None known at present. It is considered harmless in low therapeutic doses. It is toxic in a large overdose. Symptoms of poisoning include general weakness, thirst and vomiting. Large doses or prolonged use of the plant can cause fatty degeneration of the liver and haemorrhages. General caution should be exercised not to exceed the dose.